Learn WordPress (Basics to Advance) from Ahmad Awais – A UI/UX Design & Front-end developer working as a core contributor to WordPress. Ahmad has over 10 years experience with WordPress on which he built & sold several free & premium products to cater 150k users/clients worldwide. Are you a student who always wanted to be a good web developer? Are you a designer who wants to stop paying for PSD conversions? Are you a software engineer guilty of using WordPress templates made by others? Are you a marketer, who is earning good, but don’t know how to get his hands dirty with programming things on his own? Are you a blogger, who is in love with WordPress? 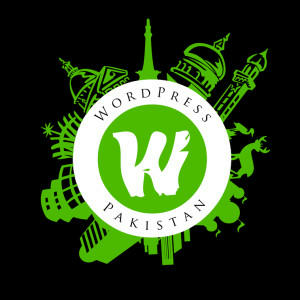 If so, then WordPress Pakistan in collaboration with FinkTanks is finally announcing Advance WordPress training. Learn Basics of Web Development to Advance WordPress topics. Any beginner can join this course. After three months of training, you’ll be able to build just about any kind of website using WordPress. Start freelancing or land your dream job. 7 different software houses have requested FinkTanks to share with them the portfolios of good students after course gets completed. Preparing Workflow; What is Workflow? CSS3 Introduction – What’s changed? What’s supported? Basic Layouts in CSS3 – Workflow updates! WordPress Structure & How it Works? What & Where to start a basic WordPress Theme from? Header.php How & What to code in it? Functions.php How to’s and what to’s! How to code a plugin in WordPress?